Inspections at two hospitals found that patients were waiting too long for treatments that led to "serious incidents". People are being urged to share their views with health bosses on maternity care at Whitehaven's hospital as a 12-month countdown begins. North Cumbria NHS Trust gained £521,000 in 2016/17 from Carlisle's Cumberland Infirmary and the West Cumberland Hospital in Whitehaven. 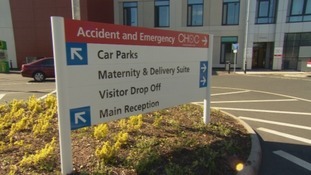 Consultant-led maternity services in west Cumbria will stay in place for another year - but their future is dependent on hospital bosses. The Government has announced that up to £100million will be invested in the two acute hospitals in north and west Cumbria. £30-50 million will pay for a new cancer unit at the Cumberland Infirmary in Carlisle. The same amount will be spent on the continued re-building of the West Cumberland Hospital in Whitehaven and up to £5million will pay for eight so-called "Integrated Care Communities" to improve access to local services in the community. Trudy Harrison, MP for Copeland, has praised the major investment for West Cumberland Hospital, saying it is 'fantastic' news for patients. The funding will help to deliver faster diagnosis for conditions including cancer, easier access to mental health services, expansions of A&E departments, shorter waiting times for operations, and more services in GP surgeries. The North Cumbria University Hospitals NHS Trust has been ranked 45 out of 138 trusts in England, for its Accident and Emergency performance. The national average for all trusts in May 2017 was 84.6% and North Cumbria University Hospitals NHS Trust’s overall performance was 89.8%, above the average. The national standard is that 95% of patients should be seen, treated, admitted or discharged from A&E in under four hours. The most important message to take from this is remembering that behind these figures are our patients and local communities who both need and deserve excellent care. I am delighted to be able to share the news today that our continued focus on improvement is resulting in real progress and we will keep striving towards hitting the 95% standard. The Trust’s two A&E departments in Carlisle and Whitehaven had 7,696 attendances in May 2017, equating to over 10 people every hour. The North Cumbria University Hospitals NHS Trust is still rated as 'requires improvement' by the Care Quality Commission. A new patient experience report has rated North Cumbria University Hospital's NHS Trust's Renal Units the best in the country. The UK Renal Registry and the British Kidney patient association looked at 39 units across the country. The survey covered 8,162 patients and asked 43 different questions. The units in the Cumberland Infirmary and the West Cumberland Hospital scored 9.31 out of 10 in the overall experience category. This is a fantastic achievement for everyone who works in our Renal departments. Everyone here does their very best day in, day out to make patients feel welcomed, cared for and informed. A ward at West Cumberland Hospital in Whitehaven has been closed to visitors, after an outbreak of norovirus. The virus is circulating on Ward 3a at the hospital, and a small number of patients have been affected. All visitors are asked not to visit the ward, apart from end of life patients and patients for whom, at the discretion of ward staff, it is felt viewing is essential. Anyone planning to visit other parts of West Cumberland Hospital, or the Cumberland Infirmary in Carlisle, is asked to stay away if they or their family members have shown norovirus symptoms in the last two days. These include diarrhoea, vomiting and flu-like symptoms. A service treating oesophageal disorders will be available at West Cumberland Hospital and Cumberland Infirmary from next week.